La Capannina was opened in July 2011. Couples are recommended to book at least 6 months in advance to secure their ideal wedding date. We require a deposit to confirm the booking & full payment 4 weeks prior to the wedding date. La Capannina has its very own in house stylist, which can assist with the styling of your wedding day unique to you. 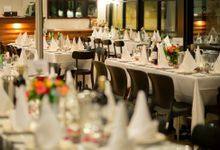 La Capannina offers couples a comprehensive range of products to complement our venue and your special day. We offer our couples a comprehensive list of wedding suppliers to help in the planning process. Our experienced team of wedding planners & stylists will work with you to form your perfect wedding day! 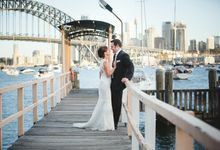 Uniquely located within Bradfield Park, in Milsons Point & boasting spectacular views of Sydney’s iconic Harbour Bridge, La Capannina is the ideal location for your wedding day. With its contemporary setting & elegance, La Capannina allows you to plan your special day for up to 50-120 guests. 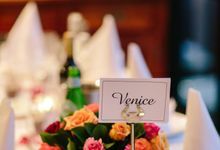 The picturesque setting & modern Italian cuisine is ideal for any wedding style.